Based at the Royal Agriculture University (RAU) in Cirencester, the Alliston Centre has been shortlisted as a finalist in this year’s BCO Awards: South of England and South Wales in the Projects up to 1,500m2 category. The British Council for Offices (BCO) sets a benchmark for excellence in workplace and office space and the annual BCO Awards celebrates and recognises top quality design and functionality. Situated in the Cotswold Area of Outstanding National Beauty, the Alliston Centre is located between the RAU and Cirencester College. 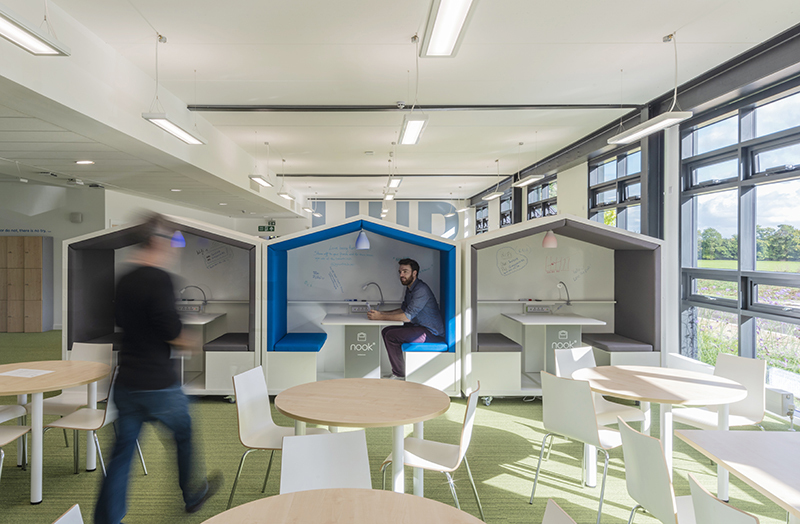 The building has been designed as a base for two distinct user groups: ‘The Cirencester Growth Hub’ and ‘Farm491’, both closely associated with the RAU. The Growth Hub is part of the Gloucestershire Growth Hub network which supports local enterprises to achieve their potential, expand and create jobs. Farm491 is an initiative established by the University to expand agritech innovation, providing high-spec facilities to foster entrepreneurship, ideas generation, and collaboration. It includes 491 hectares of farmland for research and testing. The Alliston Centre is SRA’s second building for the RAU. 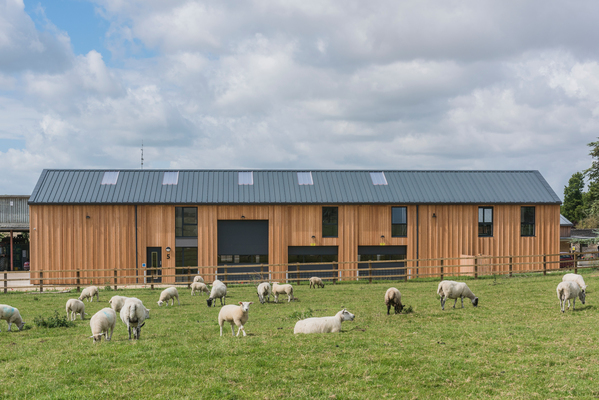 Last year we delivered another innovation centre at Harnhill Manor Farm, which provides farm-based workshops alongside flexible business development space. When considering the design for the Alliston Centre a key project objective was to integrate sound principles of sustainability. Our approach was long life and loose fit. The building provides highly flexible spaces which although designed and suited to the uses enjoyed today, can easily be repurposed for the future long life of the building. Various design practices were implemented on the building to maximise daylight levels, minimise heat during the summer months and ensure all occupied spaces are naturally ventilated. The wellbeing of the occupants was a prime design consideration. The building is embedded and accentuates the surroundings and natural setting, whilst still providing a striking and contemporary building. The end result has been well received by the RAU and its users. The Alliston Centre has provided Farm491 members with the perfect environment to launch and grow their start-up businesses. The building encourages engagement and collaboration amongst its users. In particular the open spaces lend themselves very well to networking and other events with space for people to socialise in small or large groups whilst also being able to modify and partition the space to create privacy when necessary. The design allows for plentiful natural light and a flow of fresh air through the electronic windows. Of particular note are the views from the upstairs windows which are far reaching and due to the glass panel frontage to the individual offices this can be viewed from every seat in the house!